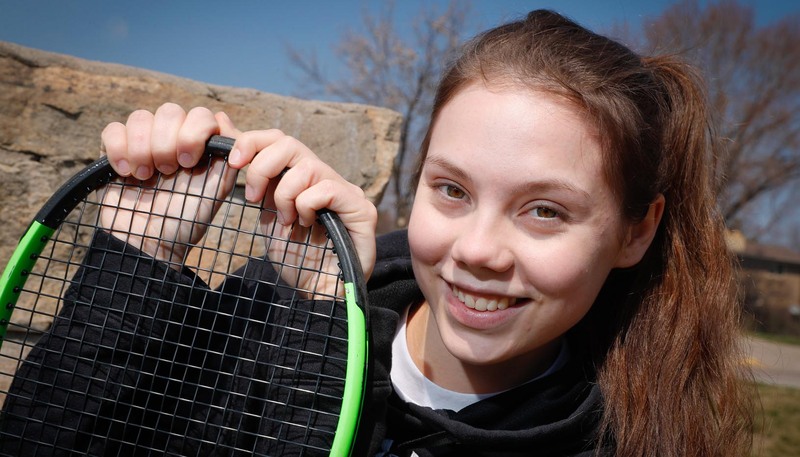 KEARNEY – Vasilisa Polunova didn’t know much about Kearney when she moved here nearly a year ago. The 19-year-old had only seen photos on the internet, and they painted a picture vastly different from her hometown of Moscow – one of the largest cities in the world. Kearney’s quiet, rural setting reminded her of a scary movie, Polunova said, but she soon learned it’s quite the opposite. 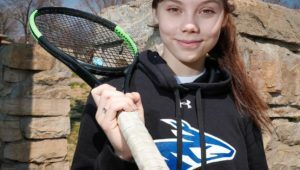 The University of Nebraska at Kearney freshman, who was still learning English when she arrived on campus, was immediately struck by the community’s friendliness. Polunova came to the United States to pursue a quality education and prepare for her future career. Her athletic prowess brought her to UNK. 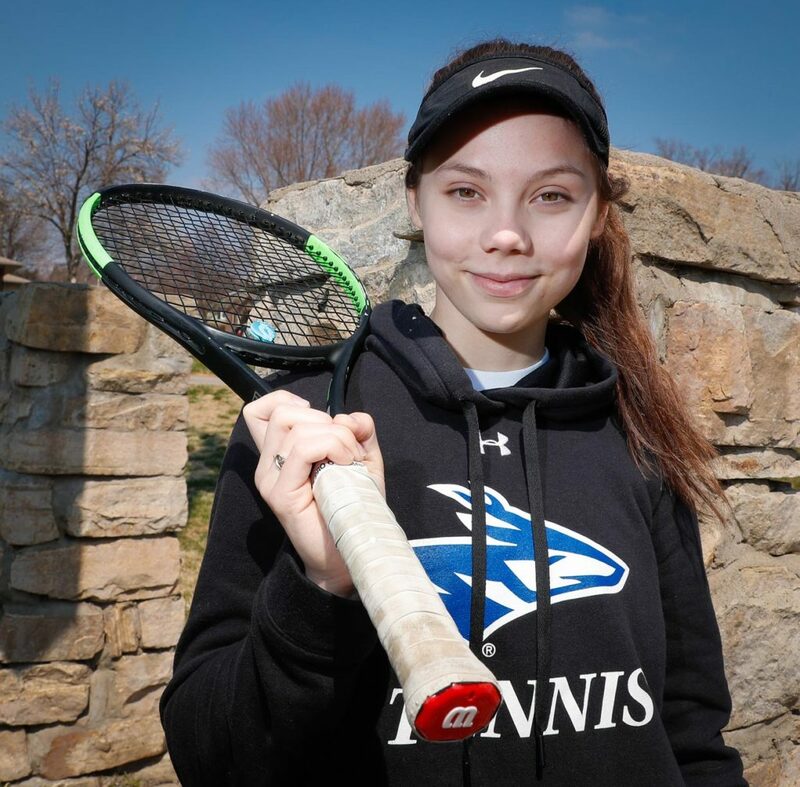 Head tennis coach Jake Saulsbury was recruiting Ilia Taranin for the UNK men’s team when he learned Taranin’s girlfriend was a pretty good player, too. He pursued both players, and Taranin and Polunova decided to commit together. “We kind of got a sweet deal out of it,” said Saulsbury. Taranin is currently a volunteer student assistant for the UNK women’s program and Polunova is the team’s top singles player, where she’s ranked No. 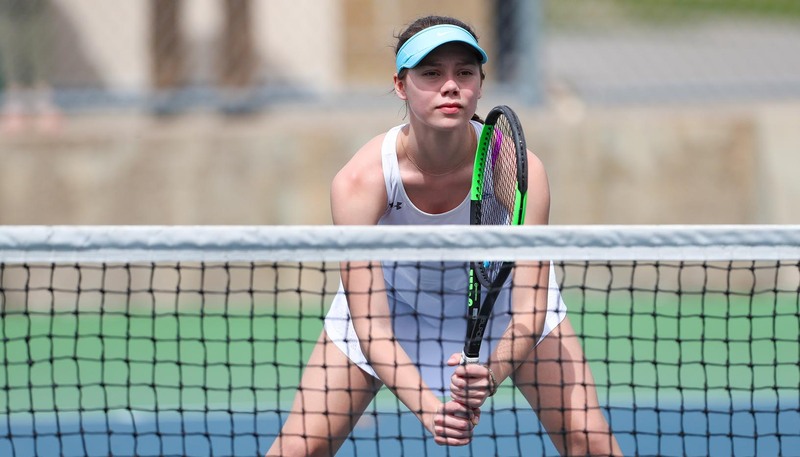 45 nationally in Division II by the Intercollegiate Tennis Association. 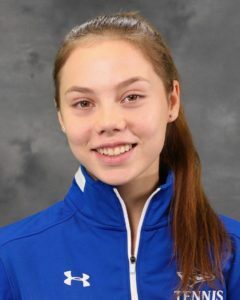 “Obviously we wish Iliya was playing for the men’s team, but he’s done a good job as our student assistant and we’re very fortunate to have Vasilisa on the women’s squad,” Saulsbury said. 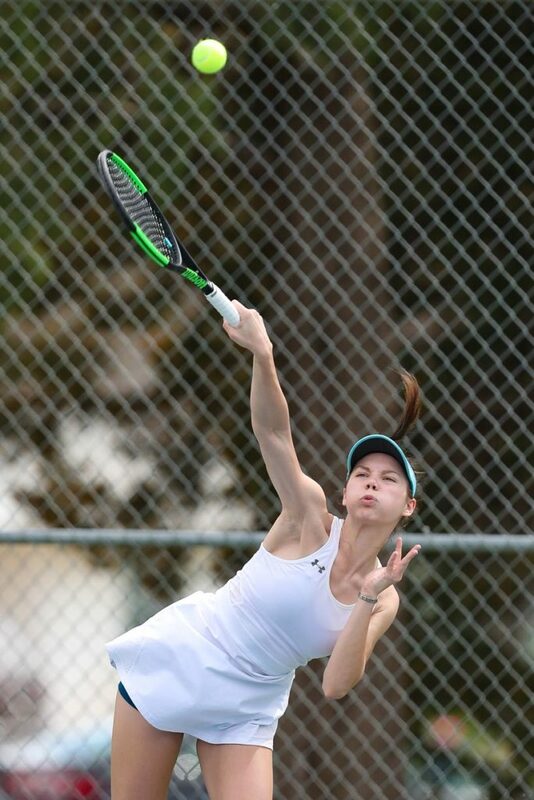 Polunova, who first picked up a racket at age 5, had a successful junior tennis career, playing three to four tournaments a month in Russia and other countries. That experience is paying dividends for the Lopers, who are ranked sixth in the Division II Central Region with a 14-12 record. Polunova is 14-9 at No. 1 singles this season, with five wins over regionally ranked opponents and one victory against a nationally ranked player. She also plays No. 1 doubles for the Lopers. 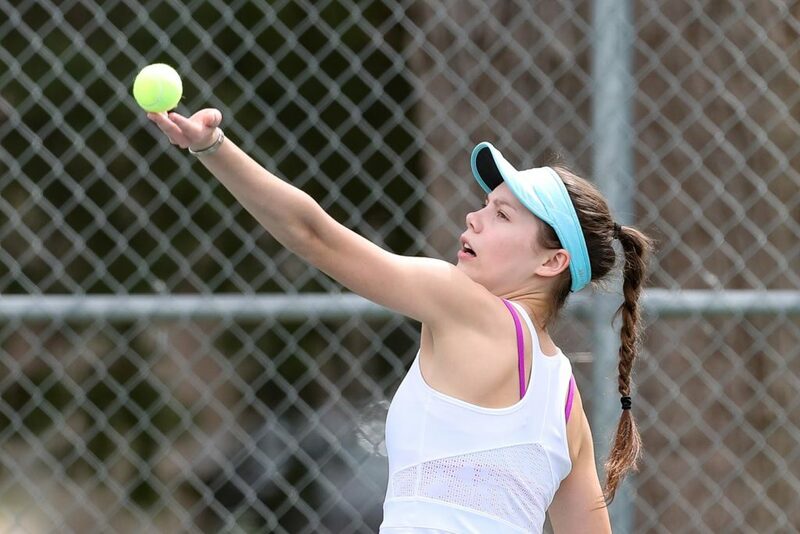 “She’s handled the pressure well in those positions,” said Saulsbury, who called Polunova a “grinder” on the court. 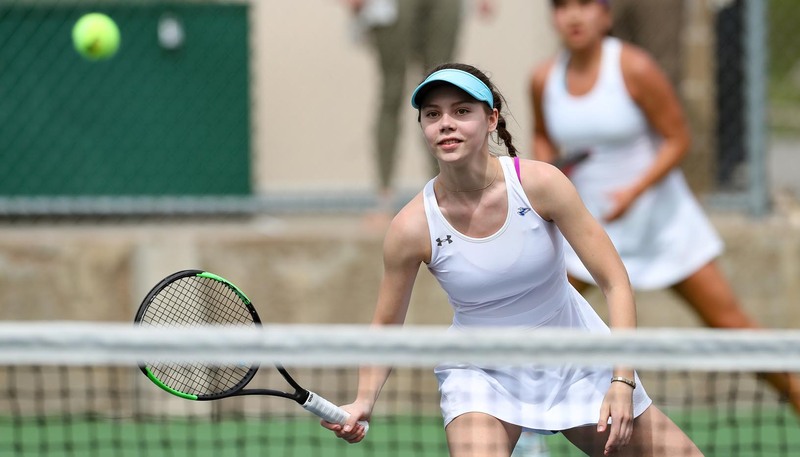 Saulsbury sees the potential for Polunova to develop into a leader for the Lopers, and she’s enjoying the team aspect of collegiate tennis. 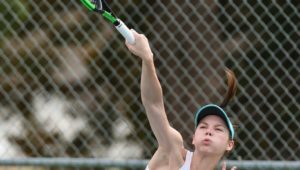 Polunova is one of three international players on the UNK women’s tennis team, along with senior Yuxiu Sun of China and sophomore Zhanel Turarbek of Kazakhstan. In addition to being talented athletes, Saulsbury said these players share experiences and cultures that benefit their teammates. Polunova plans to attend UNK for four years, then she’d like to find a job that keeps her in the U.S. She’s interested in marketing and photography, and she has an Instagram blog detailing her new life in Kearney. “I want to do what I enjoy,” Polunova said.